Destination Eritrea! Situated in the horn of Africa, it is bordered by Sudan in the west, Ethiopia in the south, and Djibouti in the southeast. Known for being one of the hottest and driest place in Africa, the country has valleys which cools down the high temperatures and where the lands prime to be fertile for agricultural spots. In fact, Eritrea vows the visitors with amazing landscapes and an exclusive blend of natural and cultural background. The country has a population of 5 million in 2016 and the natural increase is set to be positive. WHAT CAN I DO IN ERITREA? Explore and experience a nice walk in Asmara. A tropical weather, clean streets, colonial architectures, discovering the city on foot is one of the greatest pleasures. You shall discover its many hidden treasures, from antique cinemas to revolutionary petrol stations, there’s always a nice café around with wide varieties of drinks and pastries. Dankalia occupies a large percentage of the southern Eritrea and the plains of the northeastern Ethiopia. Dankalia lies within Eritrea embraces the slight piece of land which is extended to the south. This incredible place offers to intrepid travellers a hostile landscape and an unforgettable journey. The town of Decemhare is not far from the south of Asmara. The Italians preferred place, it was used as a transport hub and today stays a proud town. Eritrea capital city Asmara is also called the “Italy’s African City” or “New Rome”. This, due to the distinctive Italian touch it exudes. Asmara is the official capital and the largest city of the country. Modern, clean and cosmopolitan, Asmara is a pleasure. You shall discover a peaceable locality, street cafés, nice Italian restaurants, pastry shops and a stress-free rhythm of life. Asmara is one of most pleasant cities of Africa where you shall find some blend of amazing architecture. With an Italian charm, Asmara teases visitors and expats with its eight months of sunshine in a year. There are nine languages in Eritrea. Tigrinya is the official language of Eritrea and spoke by around 50% of the population. Arabic is the second most spoken-language and the other languages are: Tigre (40%), Afar (4%), Saho (3%), Bega (Beja), Bilen, Nara and Kunama. English and Italian are also understood. Eritrea is the 166th largest export economy in the world and has an agronomic economy. The population majorly depends on agriculture to live in. More than 80% of the population are employed in this sector. 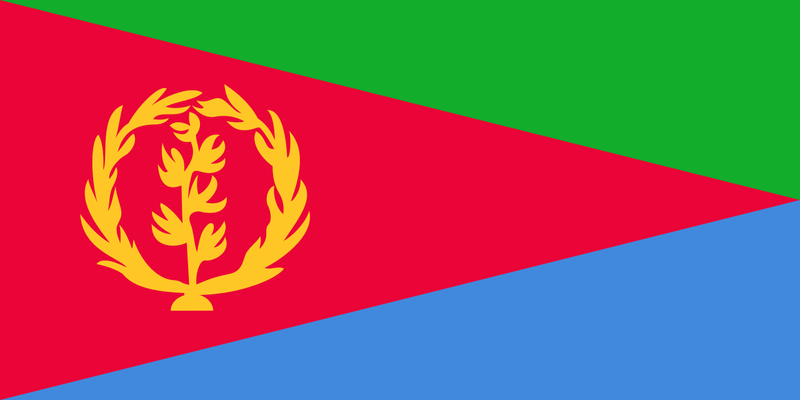 Eritrea has a widespread quantity of resources such as copper, gold, granite, marble, and potash. With the help of modern farming equipment and new techniques, agriculture has improved. The main crops of Eritrea are: barley, beans, dairy products, lentils, meat, millet, leather, sorghum, teff, and wheat. The oil industry has potential, as key oil deposits can be found under the Red Sea.